Hal and Matt Mumme are head coaches at a pair of Division III schools in the south – Hal at Belhaven and Matt at LaGrange College. Last August, the father-son tandem had the idea for their respective teams to “meet in the middle” and scrimmage in the Birmingham area; Hal brought his crew from Jackson, Miss., and Matt brought his from the Atlanta area, each about a three hour drive from the Birmingham area. Pat Sullivan and staff at Samford allowed the teams to scrimmage at their on-campus stadium but that time of year is susceptible to rain and lightning storms and, sure enough, lightning in the area delayed the inaugural Mumme Bowl a few hours. 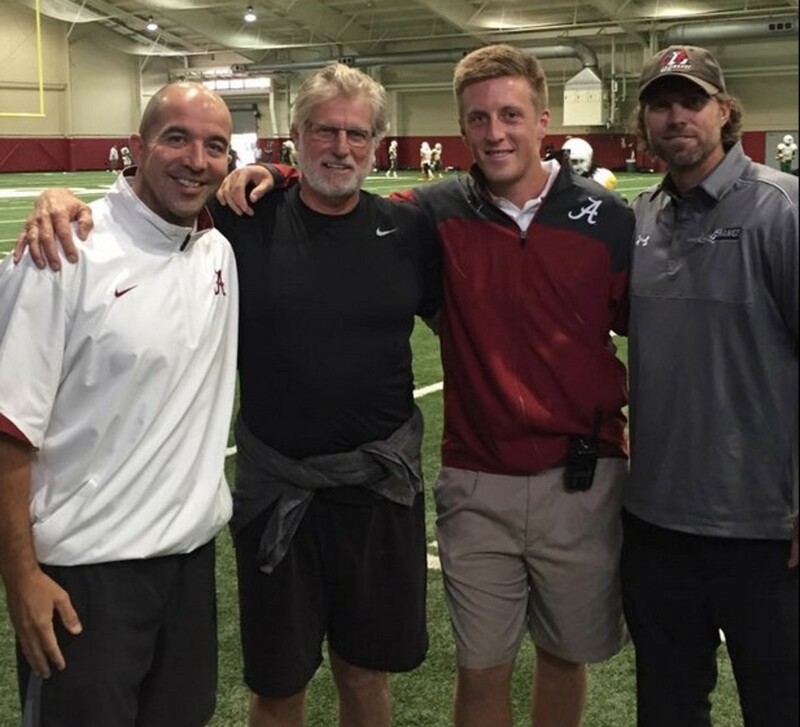 Fast forward to 2015, and the Mummes had the idea to ask Nick Saban if they could hold their scrimmage – Mumme Bowl II – in Alabama’s indoor facility. Saban, who has known the Mummes since before Matt was born, graciously allowed the teams to use Alabama’s indoor, the locker room and other facilities as well. Tip of the cap to Nick Saban for allowing this to happen.